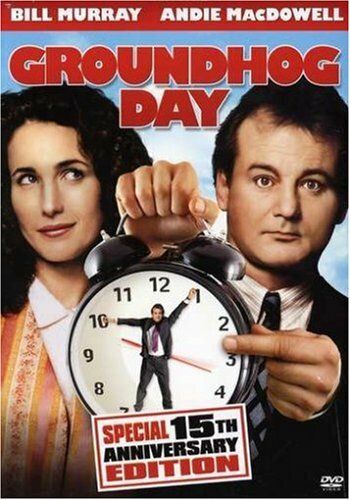 « Groundhog Day » A movie that we like to watch again and again and again ! 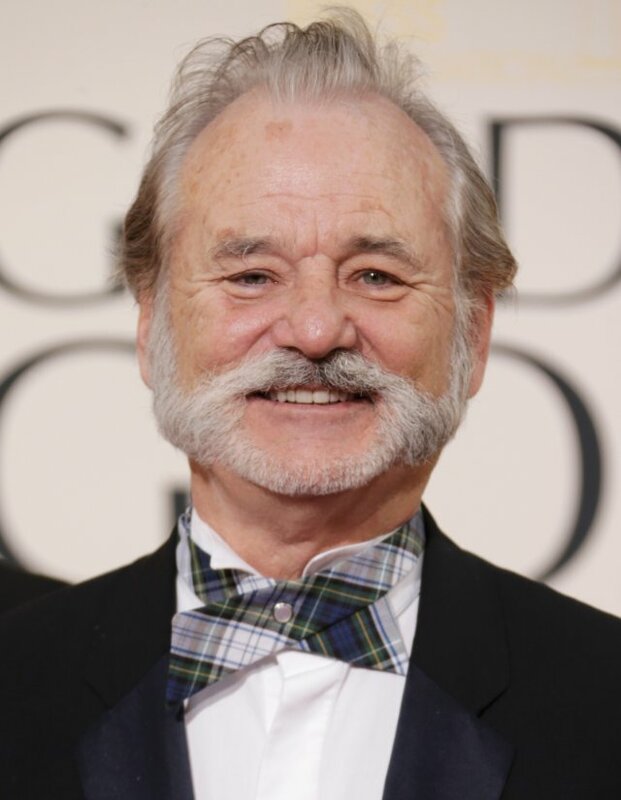 That is why I am going to speak about the movie « Groundhog Day » with the famous Bill Murray (the second movie I have seen with him when I was young, just after Ghostbuster’s), a movie that really left me good memories because I really laugh a lot. Let’s see the trailer. I decided to watch this movie again few weeks ago (with my girlfriend because she never seen it) and I realized it aged properly because we laugh a lot together and she enjoyed this movie. 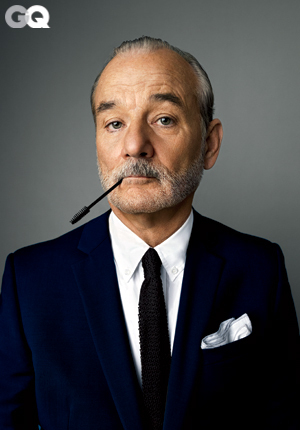 We are following along this movie the story of Phil Connors (Bill Murray, outstanding like usual), announcer in a small TV station, with a huge ego and acting like a rude stupid guy with every people he meet, because he think he is a big TV star, but he is not. 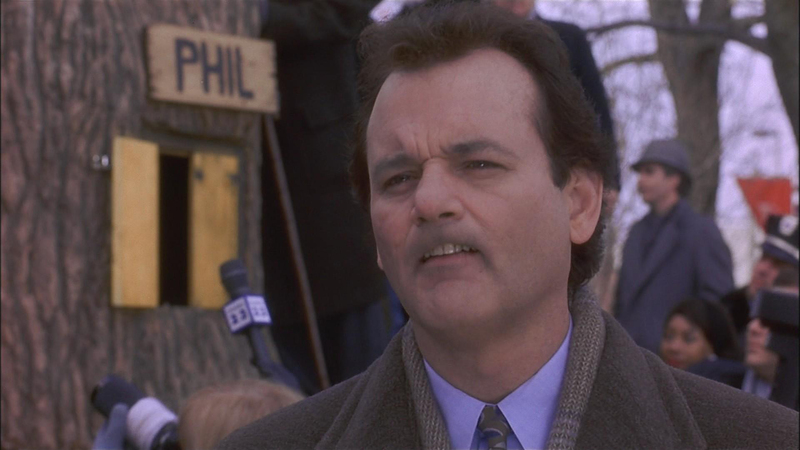 Like every years, he has to go to the small city Punxsutawney to covering the annual event of the Groundhog Day. 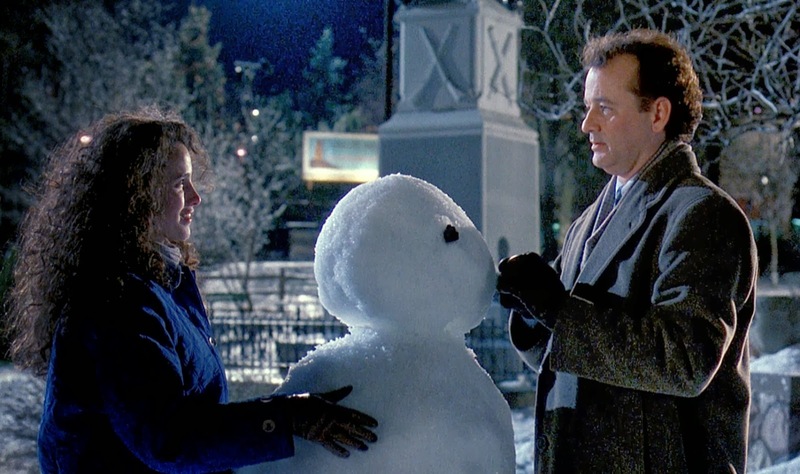 He went to this city with his cameraman Larry (Chris Elliott) and his producer Rita (Andie MacDowell). However, weary to do this reportage every year, he made a sloppy report, hopping that he will be able to get back to Pittsburgh quickly. Unfortunately, a snowstorm, which he announce on the screen earlier to be in another region, hit the small city of Punxsutawney, forcing them to stay on more day. This is where it all begin. After this night, Phil wake up and seems to have a filling of « déjà vu » and realize quickly that he is back to the Groundhog Day. This day goes like the last time and Phil seems to be the only one to realize that. Totally lost at the beginning, Phil start to realize that it is not a nightmare but a good opportunity to do what he want, among craziest things. At this point, the film begin to be a repetition of the same day with a lot of gags each one most craziest than the others. During this movie, le character of Phil is going to learn to listen other people, caring more about them than himself. He start the movie acting as a selfish guy, really mean, but step by step, he became someone really close to other people, saving them, helping them, or simply listening them, seeing that we can find pleasure to help others and seeing them happy. He is going to realize that learning is something that allow to see the world in a different way, that nothing is acquired, we can learn every single day during all our life. And after all that, he will learn to love and will find the true one, a love that you cannot gain with money, or glory neither power. This movie is a total success and reflects a style of movie that almost disappear nowadays. There is no dirty jokes, swearword or naked woman in it. I see this film like a fable, simple, honest. Harold Ramis tells us a good story, funny and full of feelings. It is with movie like this that you realize that sexes, violence or special effects are not really necessary to make people dreaming. Sincerity, honesty and creativity it is all that matter. In summary, this movie is relatively philosophical and seduce a lot of people when it was release, gaining almost six time the investment which is really a lot for a movie of this period, and it stay cult and a reference since more than twenty years in the all world (i am still a big fan). I really recommend this movie and give him a grade of 17/20, it is really a good quality and does not getting old and could fit to every generation. This movie is like a reflexion about life, and the meaning of it. 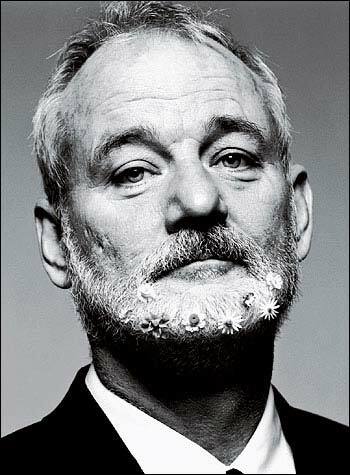 Cette entrée a été publiée dans Articles Anglais, Critiques cinéma, English post, Movies reviews et taguée American movie, andie macdowell, année 90, états-unis, bill murray, boucle temporelle, bouddha, cinéma, comédie, comique, edge of tomorrow, film, funny, Ghostbuster’s, groundhog, groundhog day, harold ramis, jokes, le jour de la marmotte, marrant, movie, movie review, movies from 90’s, old movie, review cinéma, sos fantôme, stargate, supernatural, time loop, un jour sans fin, united states, vieux film.